While 90’s analyst foretold the demise of the ERP system, it has reinvented itself to offer more value. ERP was condemned for its complexity and difficulty to modify without expensive and time-consuming coding. However, the whole scenario has changed in a relatively short period. With the advent of the technology revolution, the cloud-based and web-based ERP brings to the table more competitive advantages. It is a full suite solution with all the essential modules, where the enterprise pays as per the usage or a monthly fee for hardware and software used. In this case, the software and database reside on the vendor’s servers or at a third-party infrastructure and the ERP system is accessed from remote connections. Cloud-based ERP is best suited for small, medium and even large scale businesses. It provides access to the desired modules of an ERP solution or the entire ERP solution over the internet. It doesn’t require any kind of hardware or software at the client’s end. The system is accessed within a web browser by HTTPS link through the username and password offered by the service provider. The web application and database can either be on-premise at the company’s facility or at the vendor’s data center. Any client can use the application from anywhere, by following the link, just like the web page. Web-based ERP is best suited for small and medium enterprises (SMEs). 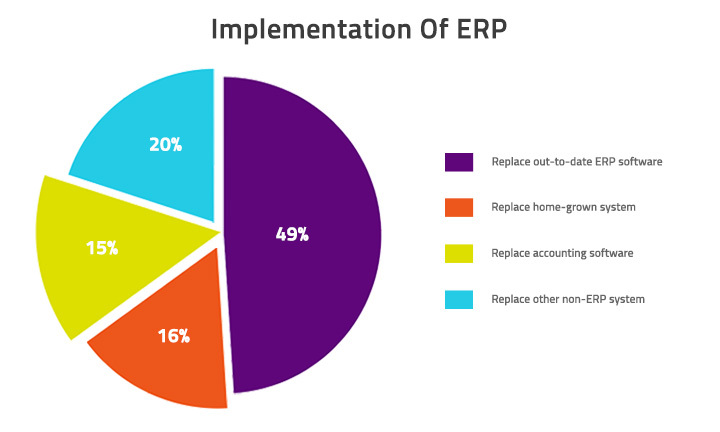 Do you know 81% of organizations are implementing or have implemented ERP? Shifting from the traditional management model to customized ERP solution may appear to be worrisome in short term, but it’s a faithful choice for the long-term perspective. For this, you need an organized and step by step approach to accomplish your development process. It is seen despite spending huge capital, many of the ERP projects fail poorly. Factors to consider while choosing ERP software? 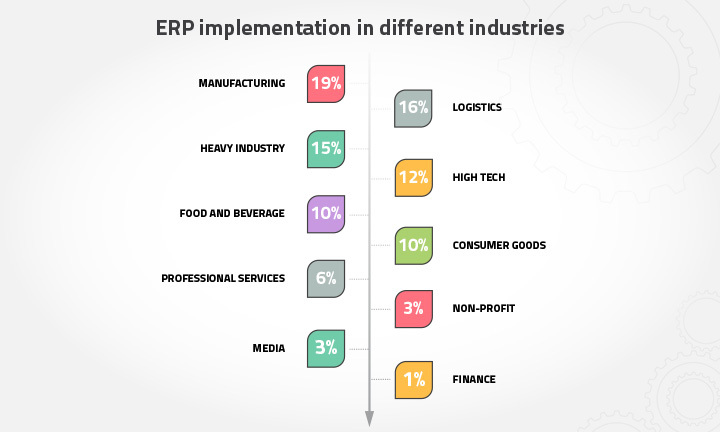 The need for upgrade or replacement of ERP software depends on the industry trends. Remember, every company has different goals. As per your company requirement examine if you need a new ERP software or just an upgrade. The modern-time ERP solutions are modularized so, you can simply integrate a module as per your company goal. But if your ERP system is quite old, we recommend you to replace it. As different departments have different priorities and culture, create a list of business requirements and changes you want to see. It would be a logical move to look for a customized solution. Additionally, localized dashboards and configurable workflows will help you achieve the goals. Discuss with colleagues from other organizations who are already using modern-day ERP solutions. Talk to them about agile and improvised reporting tools and know how it can quickly adjust to your evolving business needs. To make the ERP solutions work with your existing business applications you need to consider various integration points. System-to-system, module-to-system and file transfer capabilities are the major integration points that offer flexible workflow with the existing infrastructure. ERP is complicated than most business solutions. It requires proper setup and training. Make sure that your team gets the proper training on how to implement the solution with the existing work structure. 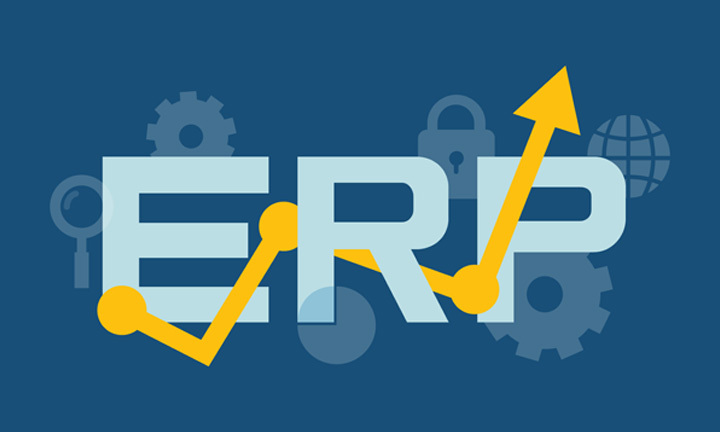 How to strategize an ERP system for your organization? Depending on your company, you can reasonably plan a customized ERP system instead of an off-the-shelf solution. However, for a successful software development process, here are some of the major checklist for you. Define and document the project vision to plan your IT strategy. Meet with department managers to identify the project scope for short-term or long-term. Create a list of required features for effective system delivery. Check both off-the-shelf and customized software solution and discuss which fits according to your budget and needs. Talk with the software development team about hosting the server. Find out the required time and cost to build the solution. The time and cost depend on the number of modules necessary to build the desired solution. Check the daily reporting and test how well it interfaces with your business processes. 97% of organizations improved few or all of their business process with the help of the ERP solution. To fruitfully utilize the software solution ensure you understand why you are implementing ERP. You must get full top management support to work on your business processes and needs. Certainly, the cost of developing a custom ERP solution can be high but remember it is designed to optimize your business processes. Also, you can begin from small and include essential features as you grow. According to Panorama consulting solutions, 89% of organizations reported software satisfaction. For software satisfaction not only you need a reliable ERP software development company, but also you have to ensure sufficient training and management.